It has not been a good week for Egypt’s president, Mohamed Mursi. Nationwide protests against his rule marked the second anniversary of the Egyptian revolution on 25 January. Deadly riots broke out in a number of Egypt’s cities, resulting in at least fifty deaths and over five hundred injuries. More than thirty people died during riots in the Mediterranean city of Port Said following a court decision to sentence twenty-one soccer fans to death for their part in the 2012 stadium violence. 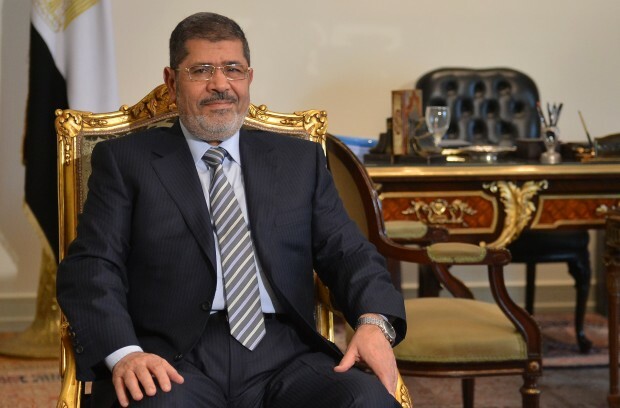 The opposition has accused the Muslim Brotherhood of hijacking the Egyptian revolution and has likened Mursi to a “new pharaoh.” Such unflattering comparisons are hardly tempered by President Mursi’s recent declaration of a state of emergency in Port Said, Suez, and Ismailiya. Mubarak’s entire presidency was a state of emergency, allowing him to extend police powers, suspend constitutional rights, censor the press, and imprison his opponents. Many Egyptians, particularly those who took to the country’s streets and squares two years ago, are of the view that one pharaoh has been replaced by another—only this time, he has a beard. Mursi’s Friday speeches deal with sensitive domestic and foreign policy issues, thereby blurring the lines between politics and religion. The president’s comments on the Gaza conflict were relayed around the world because they were the first official statement from the Egyptian president on what was happening there. This led to frenzied analyses of Egypt’s designs for Gaza, with some even portraying his statements as a mandate for war. What Mursi actually meant was that Cairo should broker a ceasefire deal between Hamas and Tel Aviv. The Egyptian president also found himself in hot water earlier this month over anti-Semitic comments he made prior to being elected. Speaking at a rally in his hometown, Mursi called on Egyptians to “nurse our children and our grandchildren on hatred for them: for Zionists and Jews.” During a television interview, he described Jews as “bloodsuckers” and “descendants of apes and pigs.” In an attempt to draw a line under the diplomatic scandal caused by these revelations, a presidential spokesman claimed that Mursi’s comments had been taken out of context. It is clear that Egyptian society is increasingly split between two opposing forces. President Mursi is coming under increasing pressure from his secular opponents, who accuse him not only of being a new pharaoh, but also an aspiring caliph, a ruler of the Islamic community. At the same time, the Islamists enjoy tremendous popularity across the country. It would not be an exaggeration to say that any Brotherhood candidate would have emerged victorious in Egypt’s first post-revolution presidential election. After all, Mursi was initially dismissed as a stebn, a spare tire, changed after the more popular Brotherhood candidate Khairat Al-Shater was disqualified from the presidential race. The question remains whether Egypt’s resident preacher-in-chief will be able to hold the country together during these precarious times.